Robert Woodhead Ltd, has been named as one of the construction companies selected to deliver the Homes and Communities Agency’s (HCA) multi billion pound Delivery Partner Panel. The HCA has this week unveiled its preferred housing developers and contractors to deliver £8bn of residential led development programs on public sector land over the next four years through the Delivery Partner Panel (DPP). Robert Woodhead Limited has been selected after a robust procurement exercise to cover the Midlands and the North East Yorkshire and Humberside regions. In it’s first and second generations the Delivery Partner Panel, created by the HCA, has delivered over 43,500 homes, through 258 schemes over seven years. Robert Woodhead Limited is currently working on a range of public sector housing schemes across Nottinghamshire, Derbyshire, Lincolnshire and South Yorkshire. DPP3 is open for use by local authorities, registered providers and other public sector bodies including; central government departments, NHS Trusts and educational establishments. DPP3 allows these public sectors bodies to streamline their procurement process by providing access to a pre-qualified list of housing developers and contractors, such as Robert Woodhead Limited. Stock image of work starting on a £3.37m scheme to build 41 brand new family homes and flats on the site of the former Blue Note pub on Cavendish Road in Carlton in November 2016. 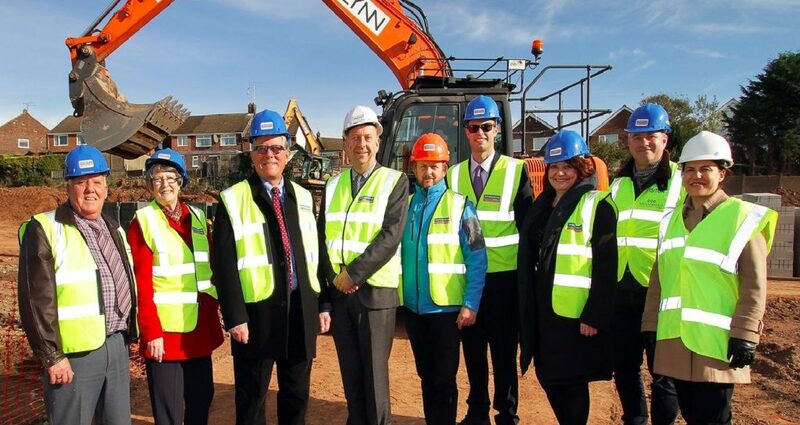 The homes will be managed by Nottingham Community Housing Association (NCHA), funded by Gedling Borough Council (GBC) and the Homes and Communities Agency (HCA). The mix two and three bedroom homes, alongside one bedroom flats, will help to provide affordable housing for a range of different local people, with differing requirements.